When the Eskimos hit the road this season, don’t watch the games alone on your couch, join some of the biggest Eskimos fans in the city at the Sawmill’s Empire Bar! Starting June 14th the Sawmill is the place to be if you’re a green and gold fan to watch every away game. At every location for every away game, enjoy a steak sandwich and 14 oz Coors Light for only $15.95! We’ll also have giveaways for Edmonton Eskimos merchandise, Grid Iron Kids 50/50, and 2 field level Sawmill End Zone Tickets for November 3rd! We also have a year-end grand prize for 2 tickets for the 2018 Edmonton Grey Cup November 25th – there will be a pair to win at every location! Make your way into the Sawmill lounge for kickoff where you’ll be able to cheer alongside fellow Eskimo fans. It will seriously feel like you’re at an Eskimos game, maybe even like you’re sitting in Section-O! Looking for an amazing and unforgettable CFL game day event? Where there is no better experience, the spontaneous up-close smell and feel of live Edmonton Eskimo Football, The Sawmill on Field End zone is where to be. Feel the adrenalin, the fresh air and on-turf action. Hear the player high like you were in the huddle yourself as you stand and cheer on our Eskimos’ and the Empire Nation as one. 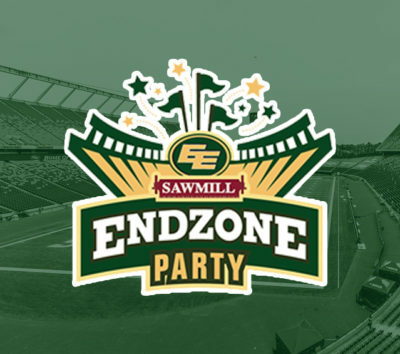 The Sawmill Prime Rib & Steak House, an Edmonton founded hospitality tradition since 1976 presents the Sawmill End Zone Party. Enjoy an on field game experience while the renowned Sawmill Restaurant Group provides the luxury food and beverage catering services. Individual and group tickets are available in addition to private reserved seating areas. This popular section has limited seating and sells out fast. All ages welcome, children three and under are free. 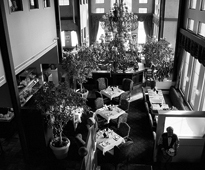 Join Us for our Annual Live Lobster Bake including a 1.25lb Live Lobster, Roasted New Potatoes and Seasonal Vegetables. Price of your tickets includes a bottle of Sol! Buckets of Sol on Special for just $15.99 ALL EVENING. Join us before the event for $3.99 Drink Specials including Glasses of Sawmill Creek Red & White Wine, Highballs and 14oz Glasses of Canadian and Coors Light. We look forward to a great evening of cracking Lobsters, drinking beer in good company and giving reason to celebrate the last Thursday of the week, SEE YOU THERE!